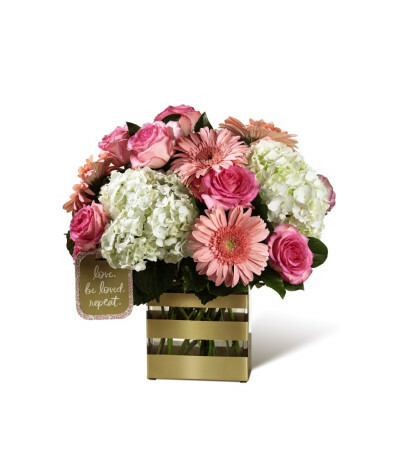 The FTD® Love Bouquet by Hallmark has a blushing sweetness to it's overall design that expresses your love, no matter the distance. Bringing together pink roses and pink gerbera daisies, surrounded by clouds of white hydrangea and accented with lush greens, this fresh flower arrangement has a unique style and grace your special recipient will adore. 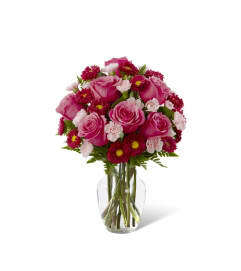 Presented in a chic rectangular clear glass vase accented with modern gold stripes and presented with a unique Hallmark tag that states, "Love. Be Loved. 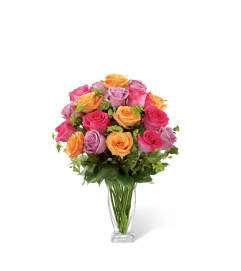 Repeat," this gorgeous flower bouquet is a wonderful birthday, anniversary, or "I love you" gift.